Happy weekend! I'm here today to share a product review that has revolutionised my crafty world and has even had me ironing in the name of craft! If you don't know me already, getting me anywhere near an iron is a pretty big deal LOL. 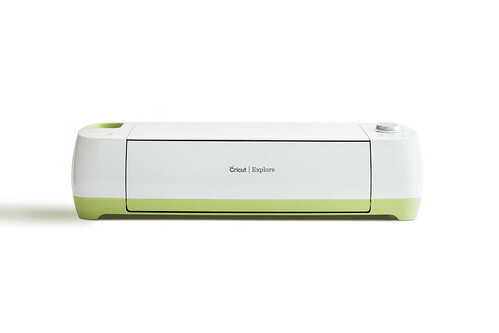 Yup, I'm talking about the newest electrical cutting machine to hit the market: the Cricut Explore. This baby is already available in the USA and hits the UK market 1st June 2014 (it's currently only available through the shopping channel, Create and Craft.) 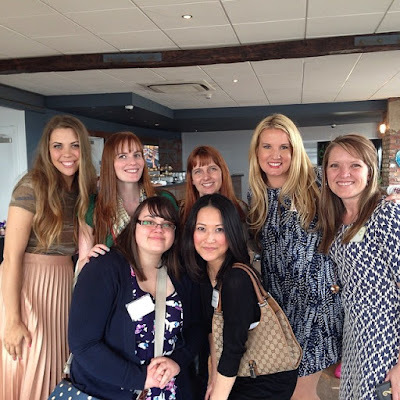 I was invited to an event in London in April to take a closer look at and to speak with the people from Cricut and fellow crafty peeps. It was a fabulous event - a perfect day out with my friends Caryn, Michelle, and Stephanie - and I left inspired. Totally inspired. You can even check out my views of the product at the event on a video Cricut EU shared on their Facebook page recently (I'm on from 2.24 mins in if you want to skip to it or skip over it!). This sleek looking machine has been a long time in the making, but boy is worth the wait. I think just about every detail has been thought of. Even the most novice of crafters can be creating with this machine (and a computer) in a matter of minutes. 1. 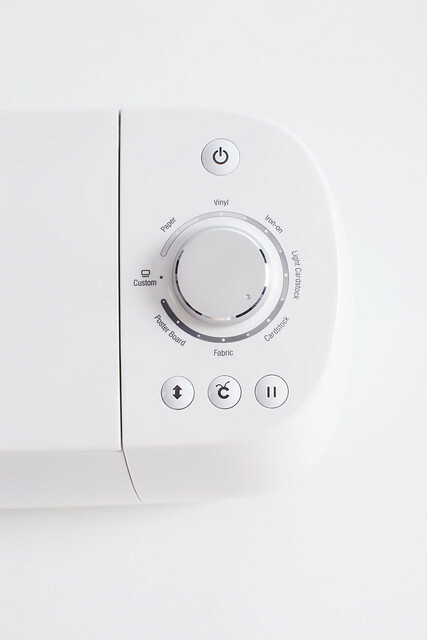 The ability to cut a wide range of materials with the simply twist of the switch. No more experimenting with blade pressure and speeds, wasting material and time like the electronic cutting machines of the past; nope, this thing calculates all of this for you. 2. Detailed precision cutting with Cut Smart technology down to the smallest of images! 4. Its hidden compartments that store all of your tools that belong with the machine. Everything stays together neatly and compactly. 5. Now I think this is my most favourite of them all. The ability to create from scratch. I'm serious! It feels like the only limit is your imagination with this machine. It allows you to use and cut/draw all fonts on your computer, png files and svg files for FREE! This awesome for those of us who like to design. 6. The Cricut Design Space with a library of over 50,000 images makes creating projects easy peasy. 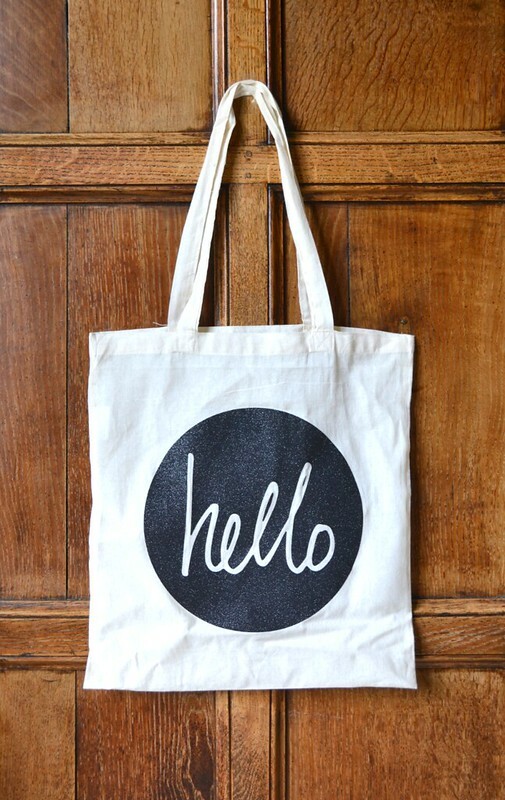 You can start with a project already designed and cut and go, or customise a project for your own needs. Even if you don't own an image already, the software will let you play with it to make that final choice whether to purchase it or not. 7. And speaking of purchasing, Cricut have finally seen the light with their new CEO and now the pricing strategy over here in the UK is now in line with the US pricing. Single images can be purchased at 79p each ($0.99 in the US) or there's a no-commitment monthly subscription with access to over 50,000 images at £7.49 or an annual subscription at £79.99. 8. Existing Cricut users can use their existing cartridges with the new Cricut Design Space. 9. It can so many different materials including leather! 10. 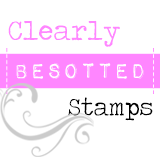 It has allowed my crafting hobby to venture outside of card making and into other areas of the home without fear! 11. Did I say 10 favourite things? Ooops! I've got 11! 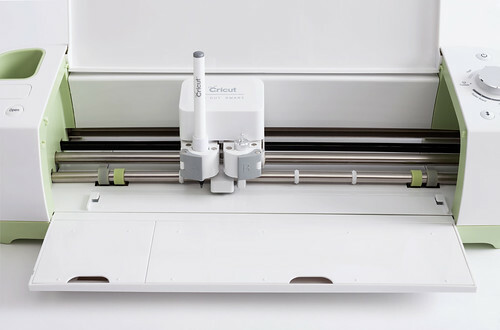 Cricut are soon to release the ability to sync and cut project using wireless technology. Yay! I honestly thought this machine was going to cost £500+ given the quality of it and what it's capable of. It's a considered purchase of course, but at £249.99 you're certainly getting your penny's worth. I honestly can't wait to share the projects I've created with this machine. Let me just say that nothing in our place is now safe from being 'explored!' Ha! Papa's Aimes' got a brand new bag! A simple project that was created with an existing image in the Cricut Design Space cut from black glitter iron-on material. It's the most fun I've ever had ironing! I hope you all have a wonderful day and extended weekend if you're lucky enough to have one (hooray for bank holidays!). As always, thanks for stopping by today! I got mine last week and I too am in love with it!